Blog | When Should You Have Your Garage Door Maintained? Your garage door plays an important role in keeping your home, property, and family safe. Moreover, it adds to the curb appeal of your place, which further increases its value. This is beneficial, in case you decide to sell it in the future. Even if you’re not planning to sell it, a properly maintained garage door will maintain its beauty. Now that you know the importance of garage door maintenance, you may be asking when the right time to schedule maintenance is. Annual maintenance of the door is recommended. 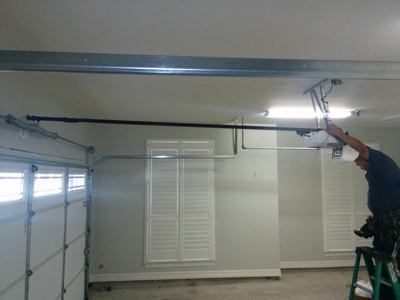 Garage door repair Mansfield provides reliable maintenance service that you can trust. However, not all doors were created equally and the frequency that they are used also varies. In some households, they are used more frequently, which makes them more prone to loose or damaged garage door parts. If you feel that there’s a problem with the door or it’s not functioning properly, don’t wait for the scheduled yearly maintenance. Garage door repair must be done as soon as possible to prevent the problem from getting worse. While you should not attempt perform actions like broken spring repair and fixing serious door problems on your own, there are things that you can do to take care of your door better. These simple steps can do a lot in keeping your door working properly and looking good. Dirt and dust may accumulate after some time. This could affect the overall look of your door. Moreover, this may also prevent parts from moving properly, making it difficult to open and close the garage door. Cleaning the door with wash cloth, water, and liquid soap and wiping it dry could remove unwanted dirt. Lubricating hinges, screws, and other parts of the door can also prevent them from getting stuck. Checking on the different components and tightening loose parts is another preventive maintenance that you can do. However, never try to repair serious problems on your own. This could put your safety in jeopardy or it could worsen the problem, which in turn causes not just inconvenience, but added expenses as well. If you have wooden doors, repainting and sealing may also be necessary, especially when you see that the color starts to fade or the surface has some cracks. Check on its safety features as well, including the sensors to make sure that it will reverse when it sees an obstruction on its path.